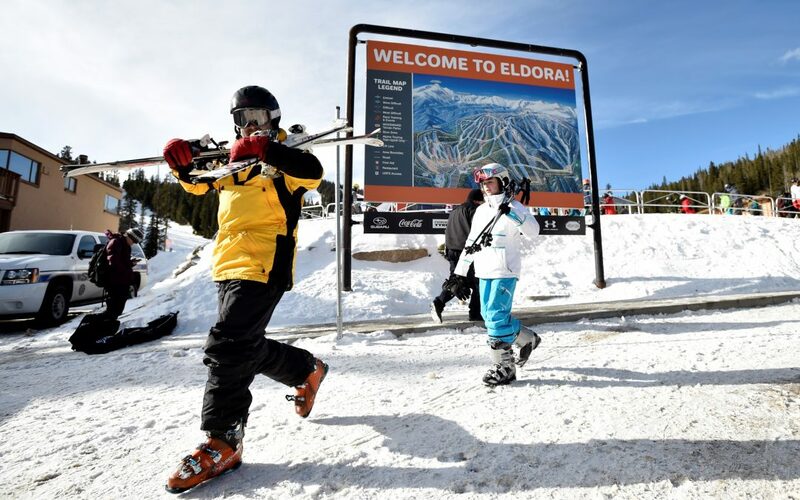 Early winter storms that have blanketed the state this year have delivered snowpacks that are nearly 90 percent higher than they were last year at this time, a startling statistic given Colorado’s ongoing battle with a drought that just can’t seem to call it quits. 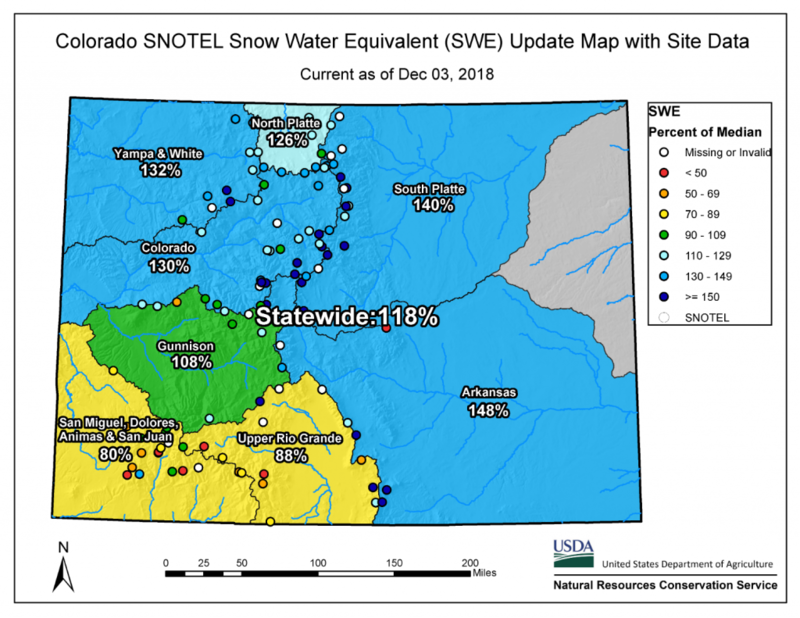 Snowpack readings in the South Platte Basin, which includes the Denver metro area and most of the northern Front Range, stood at 140 percent of average as of Dec. 3, up from 80 percent last year, according to the NRCS. Going into last year’s irrigation season, the state’s reservoirs were largely full, but the summer of 2018 saw them drained as farmers and thirsty urbanites ran sprinklers and turned on their taps to compensate for the dry weather. 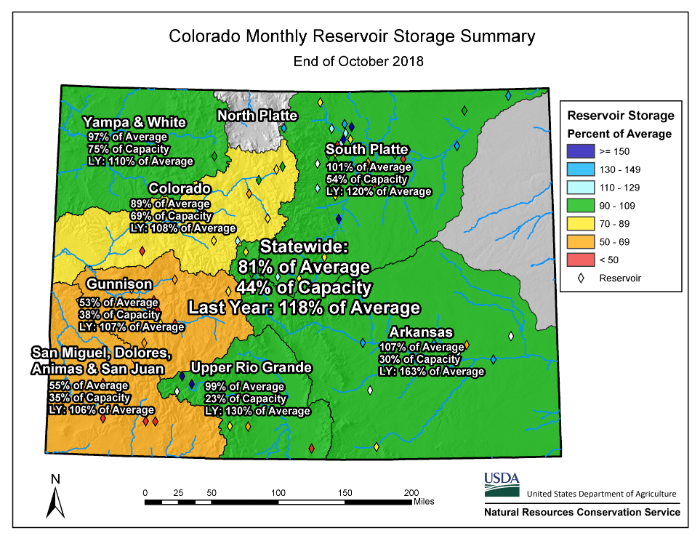 At the end of what’s known as the water year, Oct. 31, statewide reservoirs stood at just 81 percent of average, well below the previous year’s mark of 118 percent of average. “Reservoirs took it on the chin this summer,” said Peter Goble, a drought specialist and climate scientist with the Colorado Climate Center. Among the most stressed is Colorado’s largest storage pool, Blue Mesa Reservoir, near Gunnison. It nearly emptied this summer, and reached its lowest point in 30 years this fall. Colorado’s parched condition is the primary reason much of the state remains classified as being in extreme or exceptional drought by the U.S. Drought Monitor.